Every Door Direct Mail is Fast, Easy, and Affordable! As low as $0.37 per unit printed with our high definition printing process, you can launch your EDDM campaign in just minutes. EDDM offers a variety of benefits to a business. First, it offers the advantage of targeting neighborhoods. For example, if you own a restaurant or a store, your best customers will be those who live nearby. 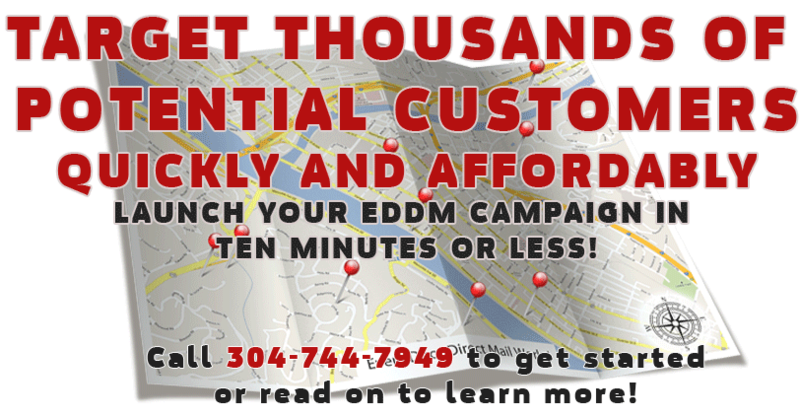 EDDM allows you to reach every address within carrier routes you define and canvas the neighborhoods in your vicinity. In the past, mailers were reliant on mailing list compiled and sold to businesses who wanted to reach out to new customer. With Every Door Direct Mail through The Printing Press, Ltd., your EDDM campaign takes the hassle out of targeted direct mailing! Every Door Direct Mail makes it easier and more affordable than ever before to send effective, targeted marketing to every person in your neighborhood. can effectively reach the customers you want!